MODIST MAKERS SERIES LAUNCH: BEAU'S DOUBLE IPA - Modist Brewing Co. This Friday May 19th, we’ll proudly be launching a new series of small batch beers: our Modist Maker Series. These beers are a collaborative effort between select members* of our beer drinking club – The Modist Makers – and our Head Brewer, Keigan. We asked these Makers to dream up a Modist version of one of their favorite beers, or push the boundaries into something completely uncharted. 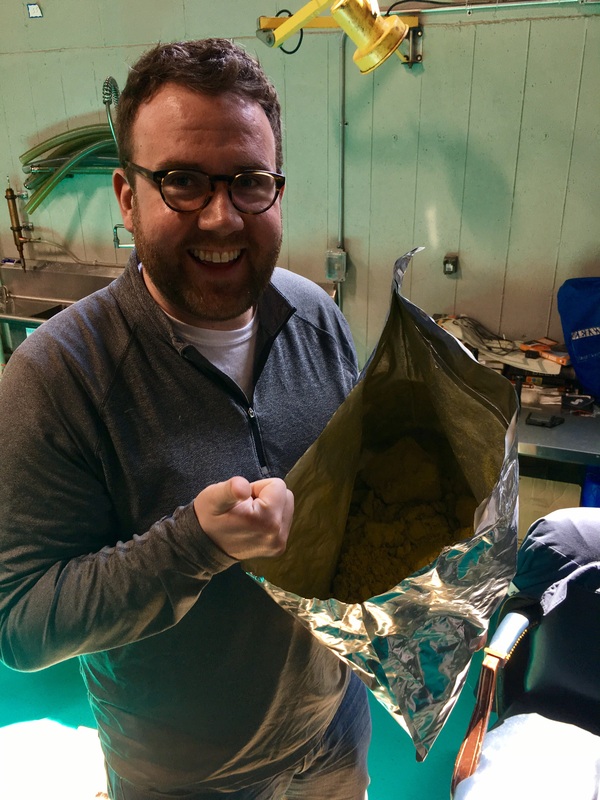 With the help of Keigan and our unique equipment, we hope the resulting beer will be something new and one-of-a-kind. 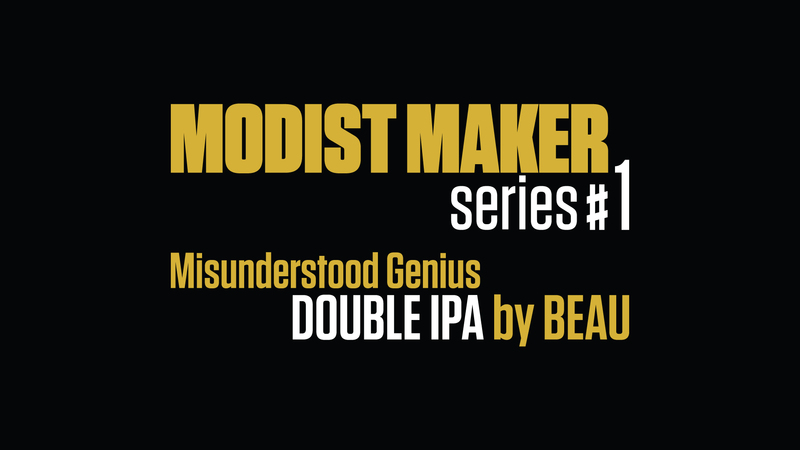 For the first beer in the series, we worked with Modist Maker Beau to create a fully-modified Double IPA that he’s chosen to call Misunderstood Genius (thanks to the Wu-Tang Clan’s Name Generator). Aside from being the first in the Series, this beer is also our first Double IPA and the first time we’ve utilized a revolutionary new hop product known as Cryo Hops (more on this below). This beer will be tapping to the public at noon this Friday and given its limited quantities, there will only be 300 crowlers available for purchase. Limit 2 per person. For our first beer, we worked with Beau. This is Beau. Beau spent a few years on the East Coast before moving to Minneapolis and became a huge fan of the “New England style” IPAs that have taken the region by storm. After visiting breweries like Tree House, Trillium, Other Half, and Hill Farmstead, he was dead set on helping to create a Modist version of one of these legendary beers. 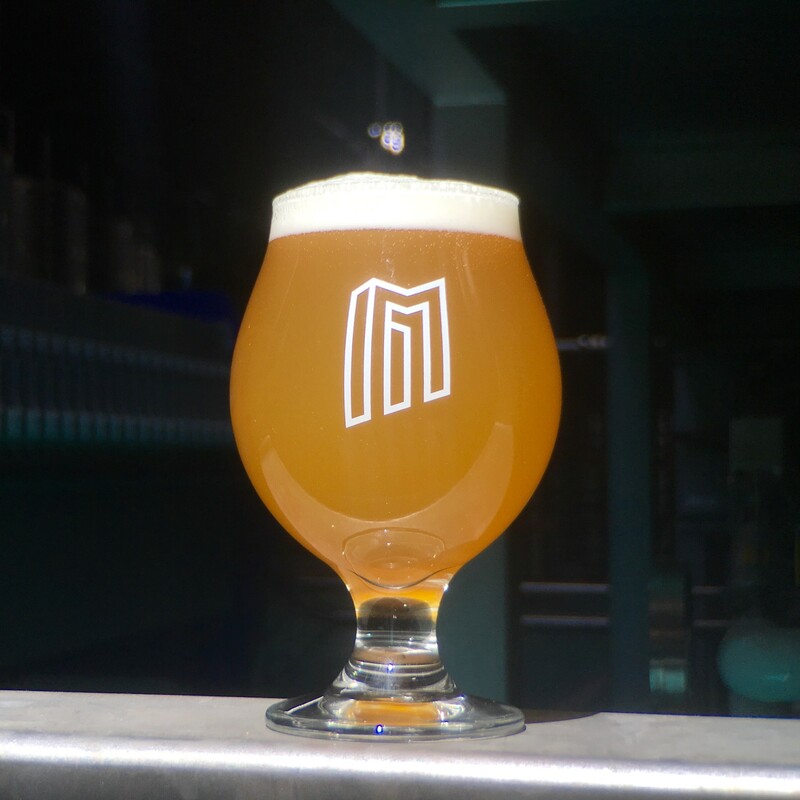 With the goal in mind of creating a hazy ipa with a creamy and soft mouthfeel, Beau and Keigan sat down to come up with something cool with a Modist touch. 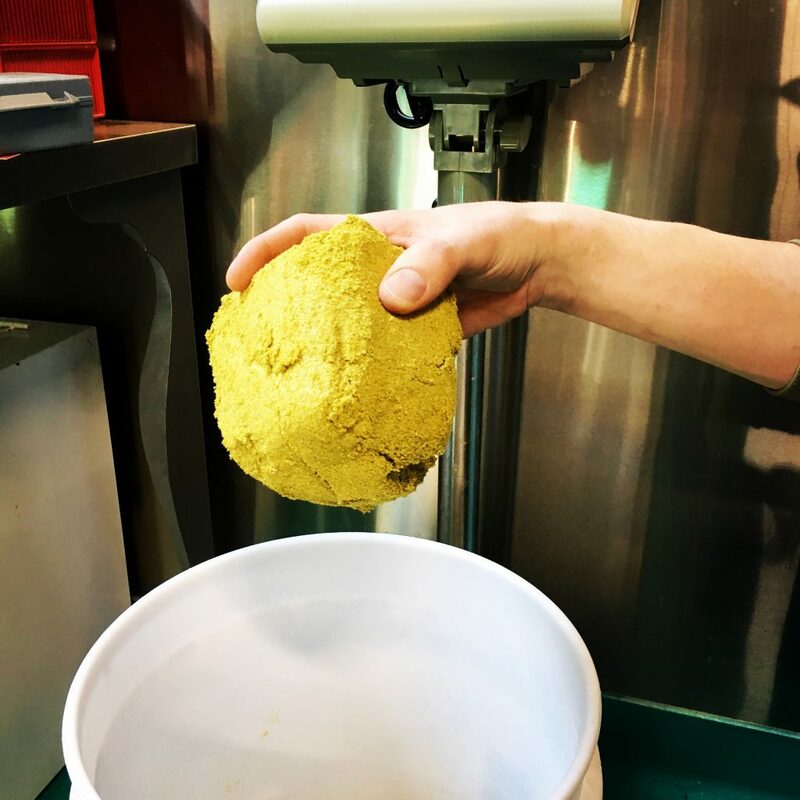 They landed on the idea of making a Double IPA (cause we have yet to make one so why not), and making use of some innovative ingredients and processes. To create the haze and the soft mouthfeel, we took advantage of the fact that our mash filter doesn’t care what grains we use and featured a malt bill that contains a hearty amount of oats. We completed the malt bill with Chilean barley and added some Belgian rock candy for flavor and to facilitate all things booze. *Select members mean the folks who took the biggest chance and joined Modist Makers at the highest level prior to us opening doors ($1000). In return, we gave them $1300 in taproom credit and the chance to brew (and name) a beer with Keigan – among other perks. We no longer offer the $1000 MM level.